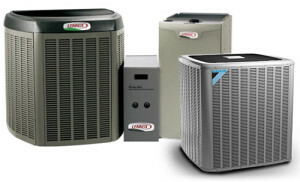 When it comes to buying an air conditioning system, there are many different brands, styles, and sizes to choose from. You want to invest in an air conditioning system that suits your home and your needs. Seek some professional advice if you are unsure as to which style of air conditioner would work best for your home or business. If you are in need of a new air conditioning system or air conditioning repair Fort Worth, take care of it during the off season. If you go to buy one during the summer, you may end up paying more for one as they are in high demand. Below are some of the different types of air conditioners available on the market. A portable air conditioner is ideal for those who don’t want a fixed unit or for the rooms that you don’t have air conditioning in. You can transport it from room to room so whichever room you want to be in, you will have access to some air con. The portable air conditioners can be a bit louder to run compared to other fixed units. They can cool rooms under around 500 SF, and all of its components are within a single compact portable unit. A window air conditioner is made up of the following components; a condenser, compressor, evaporator and cooling coil and an expansion coil or valve. To install the unit, you will need to cut a small section of wall from the room in which you want your AC placed, or more commonly, you can set it within your window. A split air conditioner consists of an outdoor unit and an indoor unit. This type of air conditioner doesn’t take up as much room as the window air conditioners do, so they are aesthetically more appealing. The outdoor unit contains components such as the compressor, the expansion valve, and the condenser. The indoor unit houses the cooling and evaporator coil and also the cooling fan. The split air conditioner can cool up to two rooms, unlike the window air conditioner that can only cool the room that it is in. If you want to chill more than two rooms in your home at the same time, or an office space if you own a business, the packaged air conditioner is the AC for you. You have one single unit that contains all of the necessary components such as the condenser, the compressor, expansion valve, etc. Through the high capacity blower, the cold air flows through a system of ducts that have been installed throughout the rooms in which you want air conditioning. There is also another form of a packaged air conditioner where the compressor and the condenser are in different areas. Separate units that contain the other components the AC needs to work are in the rooms you want to have AC in. The compressed gas from the central unit travels to the separate units located in each area. If you own a hotel, some offices, a factory, a gym, etc., you will need central air conditioning systems that have been designed to cool large areas. Some homeowners get central air conditioning, so their entire home has access to AC – especially if their home is of greater size that average. The most common use for central air conditioning systems though is for commercial purposes. A large warehouse space, gallery or mall needs a central air conditioning system if all of it is to have air con. Within a central air conditioning system, there’s a large compressor that has the capability of producing hundreds of tons of cold air. If air conditioning is to be in every room, for example, if you own a hotel, separate units will be installed in each bedroom.